The joy and hope of Christmas are celebrated in this new Celtic-styled cantata from the pen that brought you The Mystery and the Majesty and Winter's Grace. This jubilant work is filled with tuneful carols, thoughtful narration, and sparkling orchestrations. 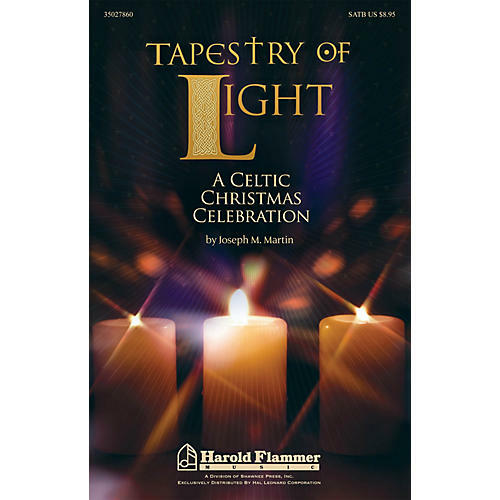 Traditional melodies form the foundations of this tapestry of lights bringing to your holiday presentation a pleasing mixture of choirs, carols, and candlelight. Presented in both SAB and SATB formats, a full line of support products is available including a digital resource kit complete with PowerPoint images, rehearsal tips, and art files to assist in the creation of your program. Two orchestration options are available: a Celtic consort, and full orchestra.